Tulsa, Okla. – Lowrance®, a world-leader in fishing electronics since 1957, added another powerful showing to a long list of tournament successes at this year’s Bassmaster Classic Championship in Knoxville, Tenn.
Held March 15-17 launching from the Tennessee River, seven of the Classic’s top 10 competitors relied on the high-performance sonar, charting and connectivity features of Lowrance HDS LIVE fishfinder/chartplotter displays to navigate and locate key fish-holding areas. In all, 29 of the 52 anglers competing in this year’s Championship used Lowrance HDS LIVE – more than all other competitive electronics combined. 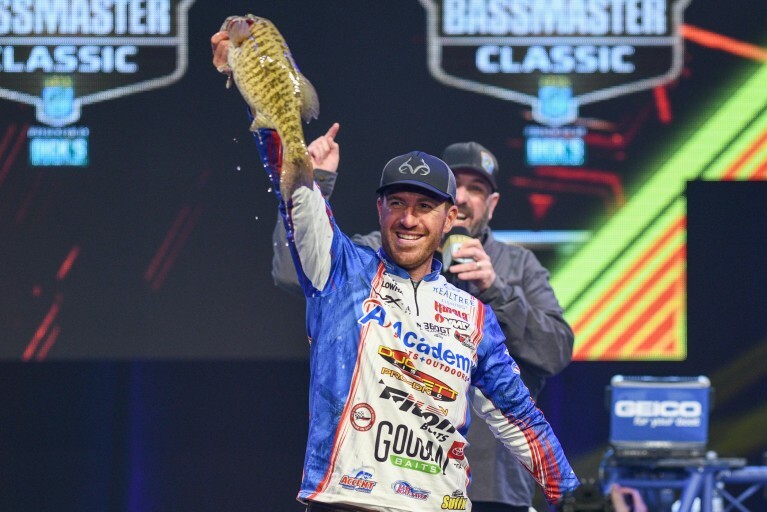 Lowrance anglers in top 10 included Jacob Wheeler, Jesse Wiggins, Mike Iaconelli, Brandon Lester, Wesley Strader, Edwin Evers and Dean Rojas, finishing in second-, third-, fourth-, sixth-, seventh-, eighth- and ninth-place, respectively. Prior to the 2019 Classic, anglers using Lowrance HDS displays had won the championship for the previous seven consecutive years. To maximize their ability to navigate and find fish-holding hotspots in the 2019 Classic, nearly all of the Lowrance Pro Team anglers also used the recently released C-MAP® Precision Contour HD-Tennessee chart card. With shipments starting in March, this new map-card enhancement features highly detailed 1-foot contours, high-resolution satellite imagery and C-MAP’s one-of-a-kind Custom Color Depth Shading for the top fishing lakes in Tennessee. Six of the top 10 finishers in the Bassmaster Classic, combined Lowrance HDS LIVE with the C-MAP Precision Contour HD-Tennessee map card. Overall 23 of the 52 competitors used HDS LIVE plus C-MAP. In a moving tribute to Darrell J. Lowrance, who passed at the age of 80 on Saturday, March 16th, Lowrance Pro Team Anglers, as well as other Classic competitors, wore symbolic blue ribbons during Sunday’s final weigh-in in honor of the former president and CEO of Lowrance Electronics. For more information on Lowrance and its tournament-winning fishfinding technology, including the all new HDS LIVE with LiveSight™ Sonar, please visit www.lowrance.com.